BOAO, China, March 25, 2019 /PRNewswire/ -- Ciming Boao International Hospital and Fertility Center, a state-of-the-art 5,000sq meter facility has begun trial operations. Built on 16.5 acres of land located within the "Boao Lecheng Medical Tourism Pilot Zone," the hospital has received the support of the National Health Commission's Women and Children Department and will offer standard fertility services, as well as screening and diagnostic services. Ciming Boao International Hospital Fertility Center belongs to the Dr. Han Medical Group and is the first international center for assisted reproductive medicine in the Pilot Zone to partner with the America-based HRC and GFG.USA reproductive medical groups to introduce a leading model of assisted reproductive treatments and services to address the problem of decreasing birth rates in China. Every year 40 million people experience infertility, and there are 900 000 babies with defects. Fortunately, these problems can be solved by using pre-implantation genetic screening and diagnosis (PGS/PGD) technology developed by the fertility center. Furthermore, this PGS/PGD technology can help high-risk parents to give birth to healthy babies and assist in preventing congenital disabilities. The 5,000 sqm high-end private medical facility, built to American standards, includes private consultation rooms with advanced gene detection equipment. 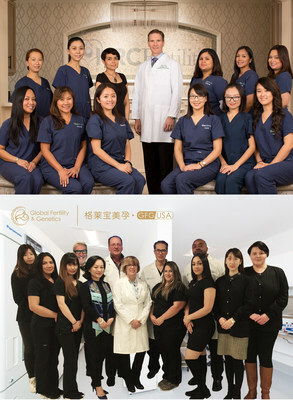 In total, there are 12 American assisted reproductive physicians and embryologists on-site with more than 30 years of experience including leading academic Dr. John G. Wilcox, and the President of the Society for Assisted Reproduction Technology as well as Dr. Vidali who will be part of this unique team to design one-to-one personalized and efficient diagnosis and treatment programs for patients. Ciming Boao International Hospital is part of the Dr. Han Medical Group, which cooperates with a national network of 500 health checkup centers (SZ002044) - the most extensive network of centers in the world with a turnover of 30 million customers a year in China alone. The hospital is a Class Three general hospital that has its own IVF center as well as nine other departments including chronic disease management and stem cell treatment department.